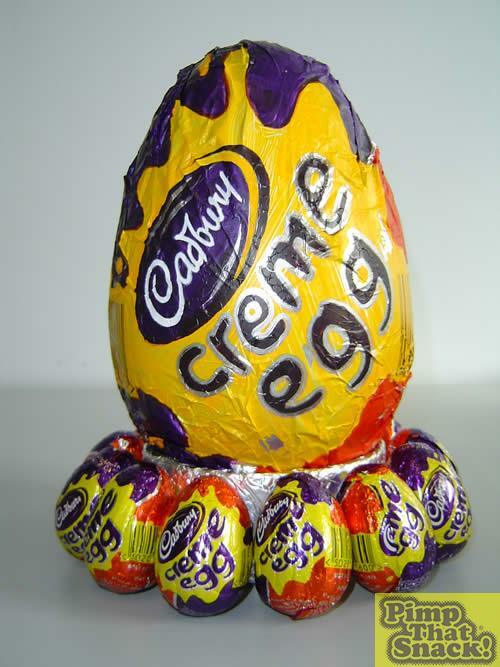 Place the whole egg in the fridge for a few hours to allow the join to set. 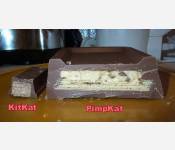 Remove from the fridge, trim off any excess chocolate at the join and voila... 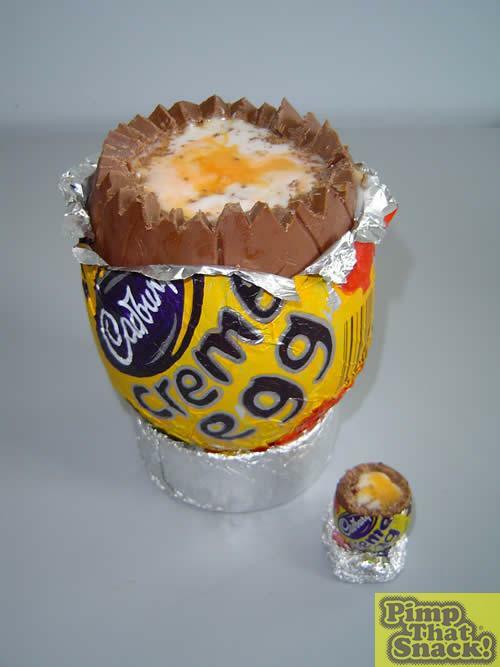 The 'Creme de la Creme Egg'! The pimped wrapper: acrylic paints on aluminium foil. 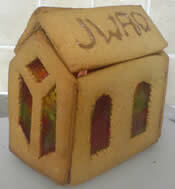 A work of art in it's own right! All wrapped up. 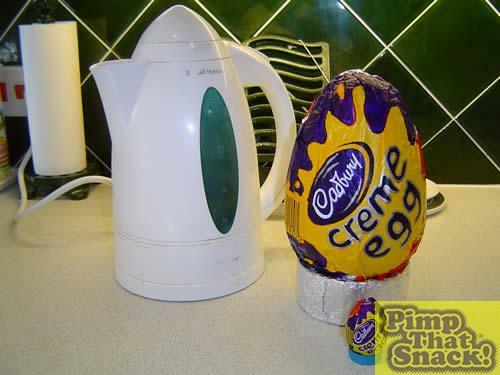 Almost as big as the kettle!! Unwrapped with the top carefully removed. Since taking the pictures the Egg has been stored the freezer while we contemplate the best way to eat it. 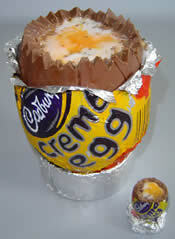 We're thinking of maybe smashing it up and blending it into some ice-cream - anyone for a Pimped Creme Egg McFlurry!! 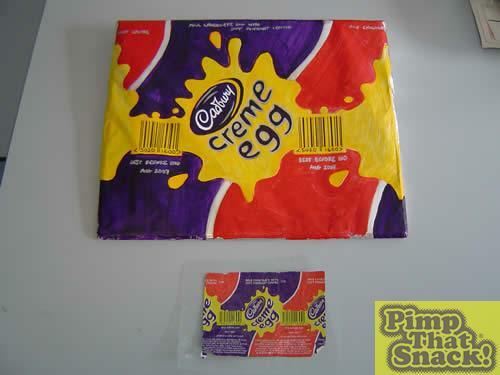 Creme de la creme egg : Height : 8". Girth : 16.5". 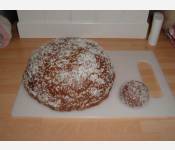 Weight : A whopping 2.25 kg!! 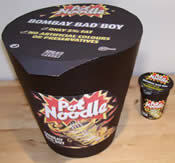 Calories : estimated 10000! !